Indeed, he has no time to sit about twiddling his thumbs, and splits his time between his role with the Institute of Advanced Motorists (IAM Roadsmart) and the other big passion in his life – a rather special Volvo. 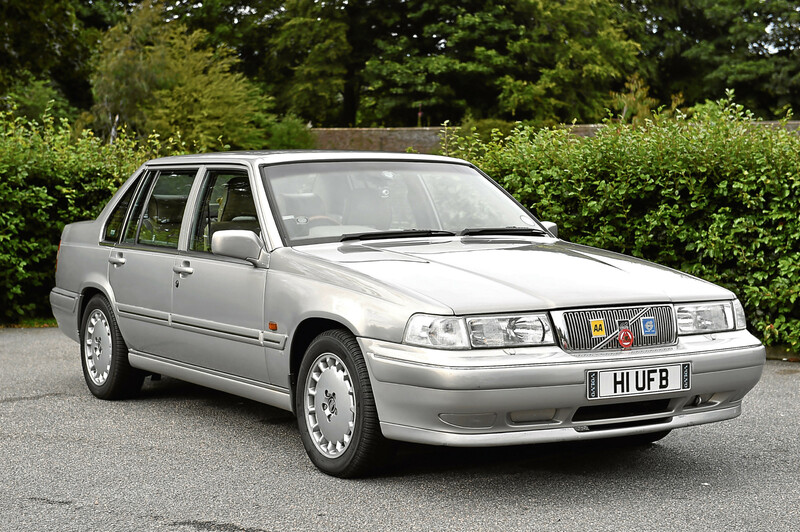 Alan, who lives in Bucksburn, stumbled across the Volvo 960CD 2.5 24v Auto quite by accident, and had no idea the model was one of only nine ever made. He is now looking out for the four owners currently in the UK and has vowed never to sell his Volvo, which has done 70,000 miles since Alan bought the car three years ago. 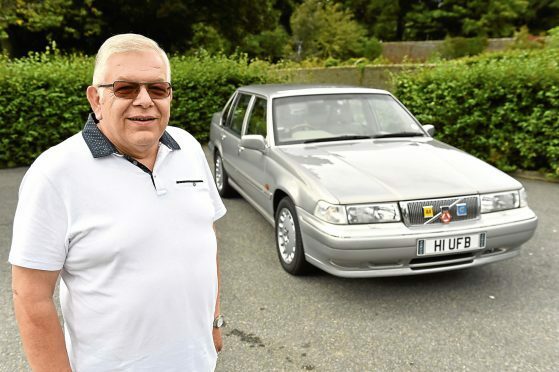 The retired sales manager still has some way to go before he can receive a badge of honour from the Volvo Owners Club – where drivers must rack up half a million miles before being eligible for the award. 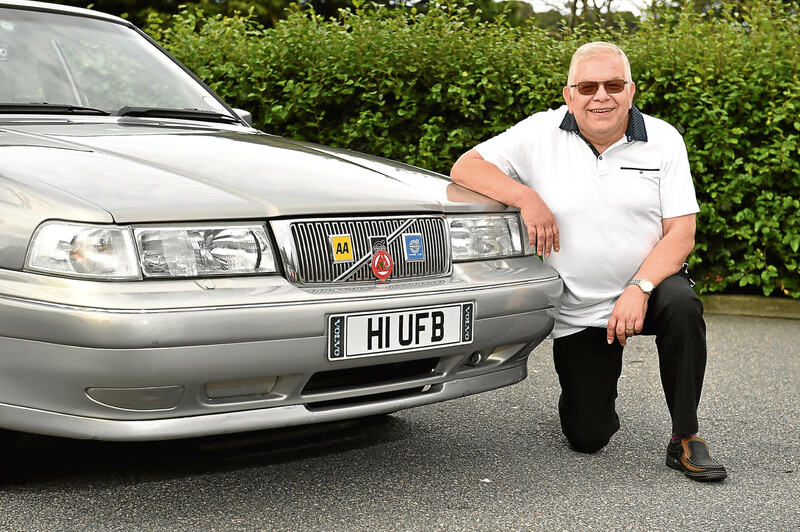 The Volvo has already made an appearance at several classic car shows including Blast From the Past, which Alan helped host at the Thainstone Centre earlier this year. He is determined he’ll never part with the vehicle, but his passion for classics actually started 30 years ago. “My son, Steven, is 30-years-old now and my passion for classics really started when he was just a toddler. “I had a Hillman Superminx and we used to work on the car together. “Steven would come toddling through to the garage and help me. He still enjoys classic cars to this day. “I often think to myself if I still had all those cars from over the years I’d have quite a collection. “But at the time they weren’t seen as classics but as a means of getting from A to B. “I first spotted the Volvo when I was out for a weekend drive with my wife, Maddie, and spied the car on a garage forecourt in Edzell. “I actually ended up doing a U-turn to go and see the car. “It had clearly been well looked after and was in good condition with a full service complete with receipts. “The mileage was pretty good as well, only 55,298 miles. “I took it for a test drive and think I was pretty much sold. It was like driving a three-piece suite on wheels. “The 2.5 litre straight six engine was eager and did not disappoint when I planted my right foot and we were pushed back into the thickly upholstered seats. “I put a deposit down then went home because I didn’t want my heart to rule my head. “After researching the model I realised only nine had been made, and there were only five left with one off the road. “I don’t think the dealer even realised how rare the car was so I didn’t hesitate. “I knew this would be a brilliant investment and for the price of £1,995 I couldn’t complain. 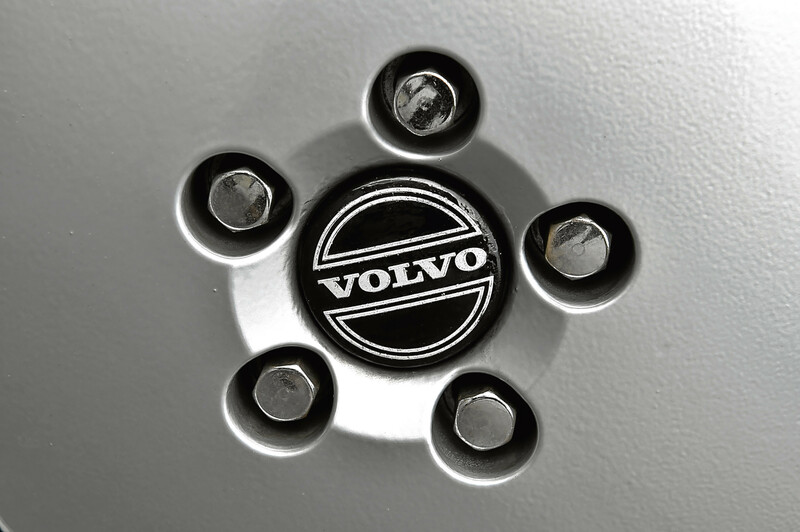 “People say Volvo’s are built like tanks and are extremely reliable, and I’ve certainly found this to be the case. “Some people might argue I won’t even feel the benefit of the investment because I have no intention of parting with my old Swedish Duchess. “For the technically minded this Volvo is powered by a 2,473cc straight 6 cylinder 24 valve engine developing 170bhp at 5700rpm and 169lb/ft of torque at 4400rpm. “Power is transferred through an electronically controlled 4-speed automatic gearbox with lockup torque converter to the rear wheels. “For the comfort inclined, there is full leather upholstery, automatic temperature controlled air conditioning, all electric windows, power steering and an audio system with sound quality to rival many newer cars. 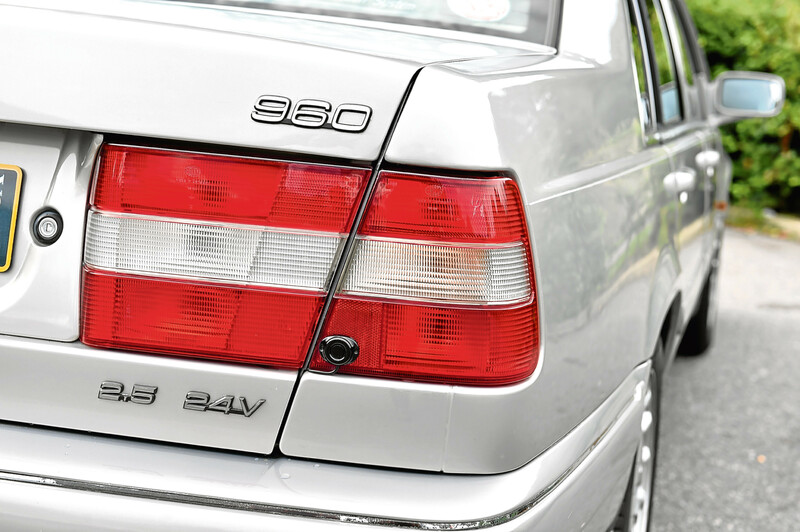 “Volvo was also the first manufacturer to introduce ‘day time running lights’. How many people remember shouting “your lights are on” to Volvo drivers. “I think the Volvo brings out nostalgia in people, they always say they remember their dad having a Volvo. “I’m surprised that I have any time for the Volvo because I’m now an observer for IAM Roadsmart. “People always assume I drive at 30mph but that couldn’t be further from the truth. “There’s this belief that as you get older you shouldn’t be on the road but I passed the advanced test, and all the examiners are current or retired police officers. “Maddie loves the Volvo although she always prefers to be in the passenger seat, and I’m pretty sure she may have complained I spend more time with the Volvo than her. “We’re originally from Yorkshire so will be taking the car for a trip, I don’t see the point in keeping it under dust sheets in the garage.